A passive and active strategy for the reception and transmission of call signals, from and to other possible extraterrestrial civilizations is suggested using the explosion of SN1987A. The reception area is an ellipsoid with the Earth and the supernova in its focuses, in the direction of SN1987A. Three hundred and forty objects have been identified inside this surface and four of them are stars with environments similar to our sun (e.g. necessary for the development of life and intelligence). 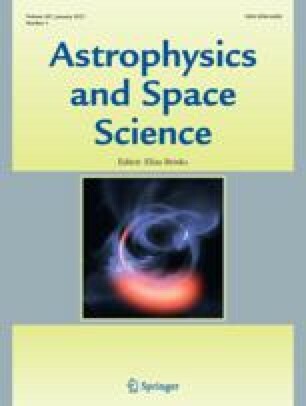 A search strategy to look for “fake” pulsars signals, originated in other possible technological civilizations, in this direction, is examined. The active strategy consist in the transmission of terrestrial signals towards the hyperboloid surface (with the same focuses) in the antipodal direction of the supernova explosion. Thirty-three objects have been identified inside the hyperboloid and three of them are solar-type nearby stars. The transmission characteristics of a terrestrial origin “fake” pulsar (e.g. modulation, frequency, bandwidth, periods, duty cycle, etc.) are discussed in some detail. The possible use of available planetary radars to develop such proposal and the criterion of artificiality, without any implicit code or semantics is reviewed. A difference between active search and communication is established. Presented at the 2nd UN/ESA Workshop, held in Bogotá, Colombia, 9–13 November, 1992.